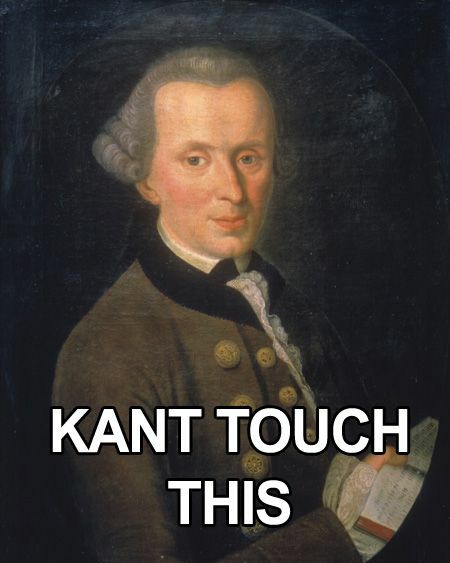 Just think of the SAT as philosophical Hammertime. As a philosophy student and private SAT tutor, I’m particularly interested in questions. When you’re prepping for a standardized test like the SAT, it’s easy to focus too heavily on strategies for getting the answers—we eliminate those that are obviously wrong, we plug them into equations, we test them against each other, and we manipulate answers in many other ways. But questions guide thought. What does that mean? It means that if we fail to ask ourselves good questions, we will certainly fail to pick good answers. An apt of example of this is the way we deal with error identification problems in the course of teaching PSAT or SAT strategies. On our first time through a sentence, for better or worse, Identifying Sentence Errors questions test our “ears.” You always want to ask the same question: does the sentence sound right? Depending on how well your ear is attuned to the kinds of grammatical issues being tested, this process will be more or less effective. In every case, however, whether you think you have the right answer or you’re as lost as you can be, asking productive questions can keep you on track. In every Error ID problem, the answer is necessarily underlined for you somewhere. Further, only four words or pairs of words are actually in the sentence—the fifth is always no error. So whether you’re checking your initial answer or trying to reason your way to an answer, you only have to check four possibilities within the sentence. How do you start? Ask the “ti esti” question—ask what it is. For Aristotle, this was the question of a thing’s essence, a definitional question. So first ask yourself what kind of word or group of words you have. Your further questions always depend upon this original one. Is it a verb? Then you know to ask if it agrees in number with a subject, if it is parallel with other verbs, and so on. Is it a pronoun? Then you know to ask if it is in the right case and if it agrees with its antecedent. Asking productive questions not only keeps you focused on the problem, but also leads you toward the right answer. These SAT strategies work for any section on this test. When you approach a difficult geometry problem with a confusing diagram, begin by asking yourself what kind of shapes you have and what you know about them. These are easy questions to ask, and they get you thinking. When you learn something about your diagram, write the information down—the added information may very well be precisely what will lead you to the next question. Finally, by working hard on asking focused and productive questions about each kind of problem you face on a standardized test, not only do you stay focused and bring yourself toward a solution, but you also put yourself in a position to justify your answers to yourself—in other words, you enhance your ability to make sure that answer is correct. When you first approach a question, you should always be able to ask yourself some form of what question—what kind of word? What kind of shape? But once you’ve come to a solution, you should always be able to ask and answer your own why question—why is this answer right? Why is that answer wrong? By attending to the kinds of questions that you’re asking yourself, and figuring out which questions are most helpful for each type of problem, you become a more efficient and effective test taker. Philosophy works! For more relevant reading, check out these other blog posts, written by our private SAT tutors in NYC, Boston, and online SAT tutors: How Will the SAT Math Section Change in 2016?, 4 Rules for Beating the SAT Essay, and How Vocab Will Change on the New SAT.